Every home needs a map! We've updated the classic wall map, bringing it into the 21st century with modern projections and beautiful colour palettes. 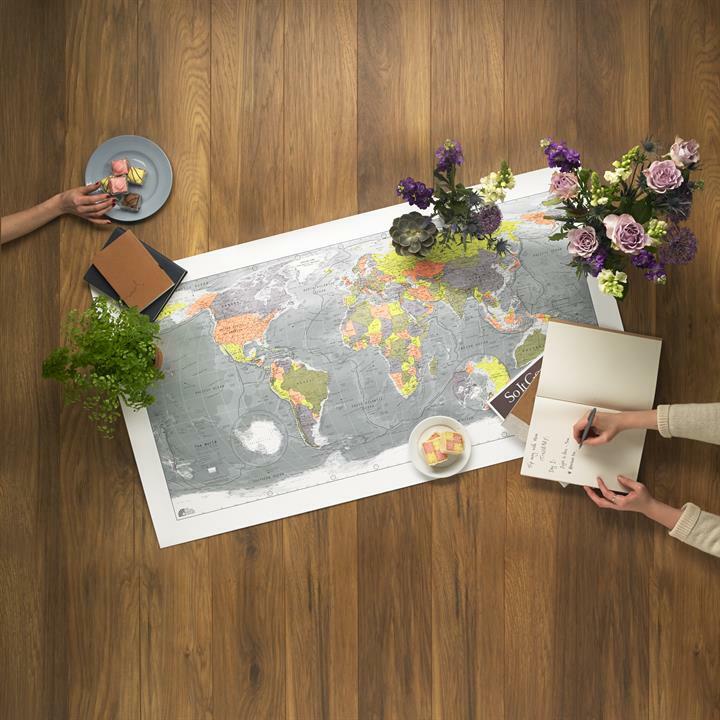 OUR MAPS ARE THE perfect gift for a new generation of travellers, aesthetes and dreamers. 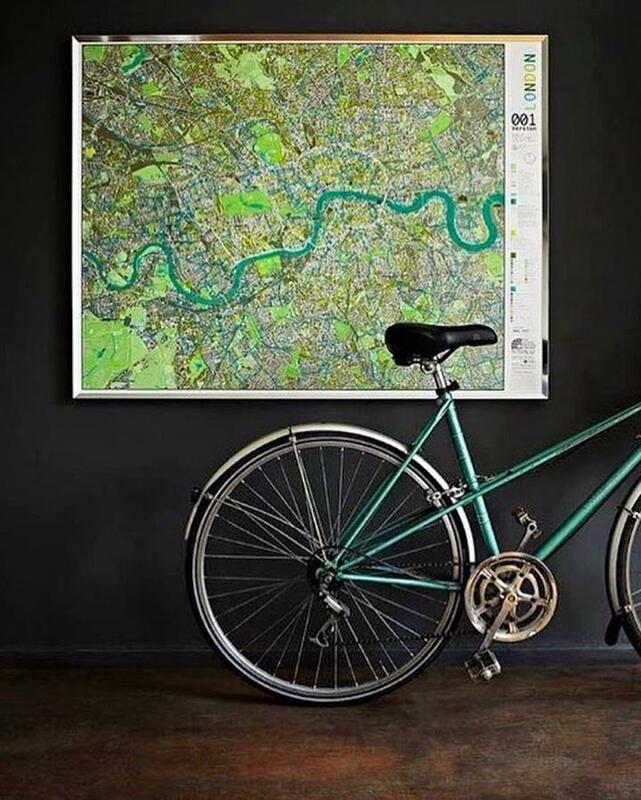 Whether it's a clearly labelled world map with accurately proportioned landmasses, or a wall map of your home city complete with cycle routes, a map always has a practical purpose. Those who are scientifically minded appreciate the visualisation of data, while fact lovers will enjoy checking exactly which state is next to which, and the names of the mountain ranges. The recipient of a map is guaranteed to improve their score at the pub quiz! Travel memories are often among the best we have. 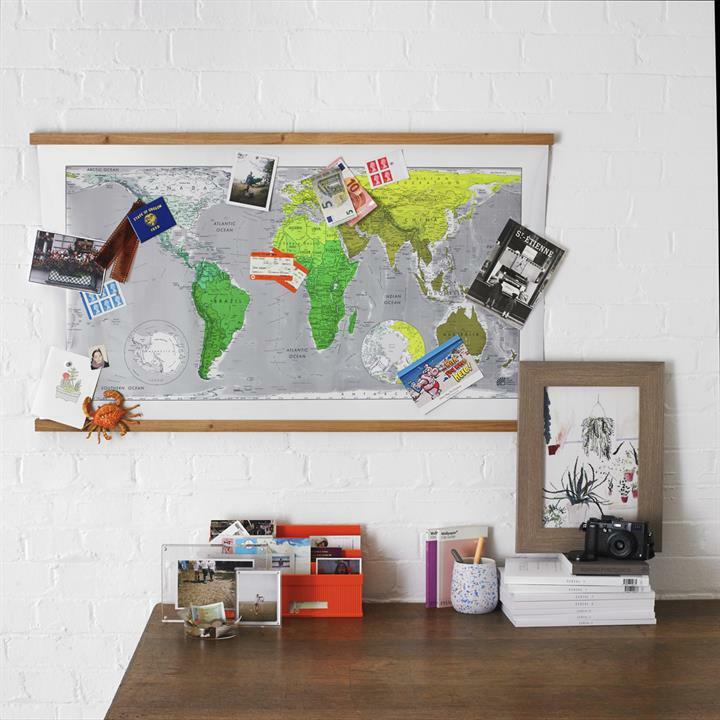 A magnetic map of the world allows you to put magnetic pins in the countries you've visited, attach postcards or momentos to favourite cities, or mark out places of sentimental significance. It also makes a lovely gift for those whose loved ones are currently embarking on adventures. Perhaps you know someone with a child off a gap year, a friend who is taking trip around the world or a partner who travels for work? A world map allows others to stay one step closer to them by following their journey from the comfort of their own home. Add fuel to someone's day-dreams about the places they'd like to see, road trips and inter-railing adventures they'd like to plan with friends and discover countries they've never even heard of before. Gazing at beautiful World wall map it's difficult not to wonder 'where next? What now?' . A map reminds us that the world is a big place and there are always plenty of places still to see and new people to discover. It's the perfect gift for the inquisitive or to encourage curiosity. Maps make great gifts for kids of all ages. 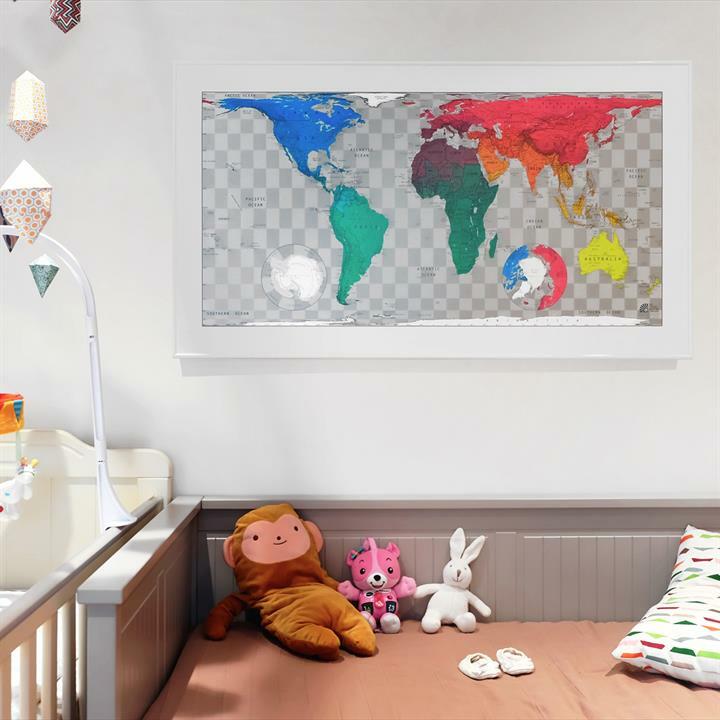 Educational, bright and fun, it makes the perfect piece of wall art for a nursery or bedroom of children who are curious about the world we live in. A map is great for engaging kids with world events in the news. Pointing out places on a map helps them understand more about the world around them. They also lend themselves well to educational games. How many rivers can they count in America? How many countries can they see beginning with T? Do they know the capital of Finland? 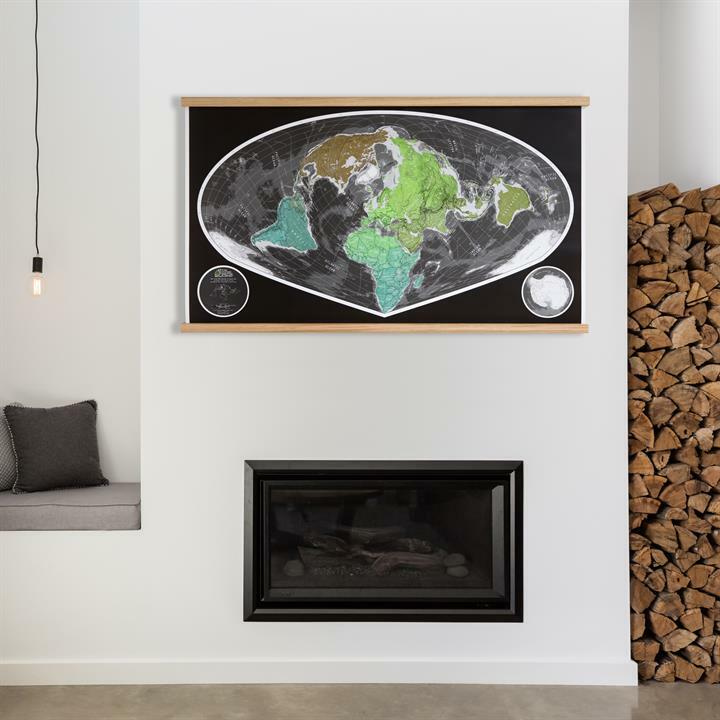 Even those who limited interest in maps will love the dramatic appearance of a Future map - simply as a piece of wall art. The traditional sepia-toned framed map was a staple home accessory in studies and dining rooms for many years. Our modern projections and bold palettes and stunning metallics have given the wall map a much needed make-over to appeal to a whole new generation of aesthetes and design lovers. It works just as well in an office, a living room or even the bathroom! Every home needs a map! Especially one that is guaranteed to start conversations.